JAKARTA – Last week’s vote by Indonesian MPs to scrap direct elections for local government heads has roused concerns about the future of Indonesia’s electoral system. With a majority in parliament, defeated Presidential candidate Prabowo Subianto is in a strong position to seek additional changes – such as having the Presidency chosen by MPs rather than by direct election. PAN’s frontman is Hatta Rajasa, who stood as Prabowo’s Vice-Presidential candidate in the July election – won by the Joko Widodo-Jusuf Kalla ticket by a 6 per cent margin. Last week’s vote to scrap local elections was faciliated by an early morning walk-out by MP’s from the Democratic Party, which is led by Indonesia’s outgoing President Susilo Bambang Yudhoyono. Before the vote, the President had spoken in favour of keeping direct elections, albeit with tighter rules on candidates. But the walk-out and the ensuing vote – which the abolitionists won easily – sparked condemnation of SBY on social media, despite the President saying he wanted to retain direct elections. “We will strive to save direct regional elections and there is a plan B that we will finalize later today. 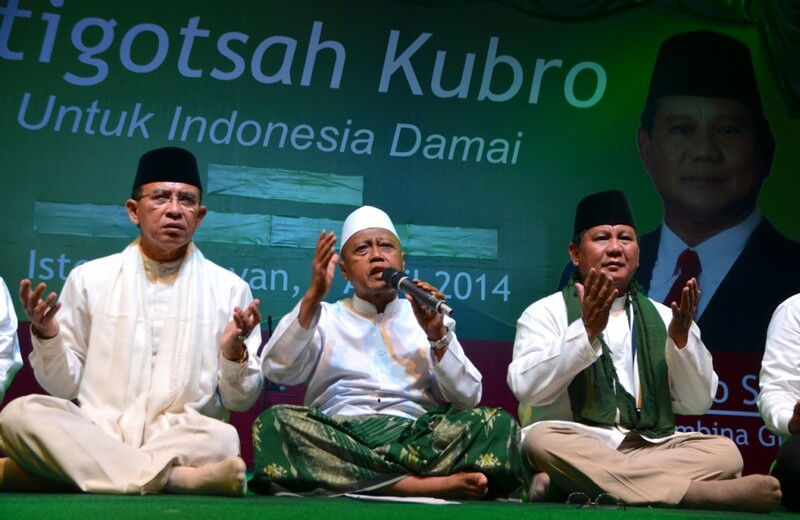 Our interest is only that our democracy remains for our people,” Yudhoyono said on Monday. But the President’s efforts are being seen as face-saving bluster. “Whatever he said, it was just a statement to try save his political image” Robert Endi Jaweng, Executive Director of Regional Autonomy Watch, a Jakarta NGO, told The Edge Review. Ending direct local elections will make it more difficult for political aspirants from outside Indonesia’s oligarchical party system to get elected. President-elect Joko, for example, was a businessman in his hometown Solo in central Java, before being elected mayor in the first direct elections held in 2005. However, there are some who say the repercussions of scrapping direct local elections could be overstated. “The impact of scrapping direct elections on ordinary Indonesian’s lives will not be as profound as recent commentaries suggest. This is because direct elections did not deliver too much in terms of concrete and tangible benefits to ordinary Indonesians to begin with,” wrote Dr Michael Buehler, who teaches Southeast Asian Politics at London’s School of Oriental and African Studies. Prabowo’s allies have partly-rationalised the change by citing a series of corruption cases involving elected local officials. But opinion surveys before the vote suggested that 80 per cent or more of Indonesians were against the move. “The new law will destroy our right to choose our leader of local government,” said Robert Endi Jaweng, who is backing a move to have the new law reviewed by the Constitutional Court. “We fully support our colleagues in Jakarta and elsewhere in their efforts to have this decision reversed,” Juanda Jamal, Secretary-General of the Aceh Civil Society Task Force, told The Edge Review. The next round of local elections are scheduled for 2015, but if the abolition is allowed stand, Prabowo will be in a strong position to dominate the region – given that his party allies form majorities in all bar 3 of 34 provinces and therefore should be able to determine who heads those local administrations. Prabowo’s allies have more than 60 per cent of house seats in the new national parliament, which was sworn in on Wednesday. With Prabowo’s allies dominant, this stranglehold could stall incoming President Joko’s agenda, which could, in turn, make it easier to justify impeachment moves at national level. Prabowo’s “Red and White” coalition moved soon after the April 2014 legislative election to try establish control the incoming parliament. On Monday, the Indonesian Democratic Party of Struggle (PDIP), the largest party, which backed Joko’s Presidential run, lost an appeal against a July amendment to allow parliament vote on who should be House Speaker. Prabowo’s allies will also head up important parliament committees, where deals on new laws are made. That post previously went to the largest party in the legislature but in the early hours of Thursday morning, the parliament elected as House Speaker Golkar’s Setya Novanto – a Prabowo supporter – after the PDIP and allies walked out of the session.